LO DE AYER EN LA NOCHE SOLO FUE EL PRINCIPIO SIGANLE JUGANDO AL VERGAS ESTAMOS ALINEANDO A TODOS ESOS BARES DE MIERDA QUE HAY EN TUXTEPEC OAXACA SACANDO A TODOS ESOS PERROS DEL CJNG QUE YA SE HACÍAN ESTABLECIDOS EN ESTA PLAZA. HOY VAMOS A SEGUIR CON LOS BARES QUE AÚN FALTA POR RECORRER NOSOTROS NO ANDAMOS CON MAMADAS Y A ESOS POLICIAS VIALES ESTATALES Y SOLDADOS NO LOS PASAMOS POR HUEVOS SON UNA MIERDA QUE SOLO ESTORBAN EN NUESTRO CAMINO A NUESTRO GRUPO NO NOS IMPORTA SI HAY INOCENTES NIÑOS O MUJERES TODOS LOS QUE ESTEN CON PERROS CONTRARIOS VAN A PASAR ARDER. NUESTRO COMANDANTE YA LO DIJO QUE ACABEMOS CON TODOS LOS BARES DE NUESTRA PLAZA SI NO QUIEREN ALINEARSE A NUESTRO MANDATO NUESTRA GENTE ES LA MAS SANGUINARIA QUE HAY NUESTRO CARTEL ES ÚNICO NO SE LES OLVIDE ALINEARSE TODOS LOS BARES, LOCALES COMERCIALES, TRANSPORTISTAS, ENTRE OTROS. YA ESTAMOS EN TUXTEPEC Y NUESTRO MANDO ES ÚNICO DEJENSE DE MAMADA Y NO SE HAGAN LOS SÚPER HÉROES AL ABRIR HOY SUS PUTOS BARES DE CAGADA A SI NOS GUSTA TENER A TODA LA POBLACIÓN CON MIEDO PARA QUE NOS RESPETEN Y SEPAN QUE CON EL CARTEL DE SINALOA NADIE PUEDE, CHINGUEN A SU MADRE TODOS LOS BARES DE CAGADA Y TODAS LAS PROSTITUTAS Y JEFES DE BARES O LOCALES. 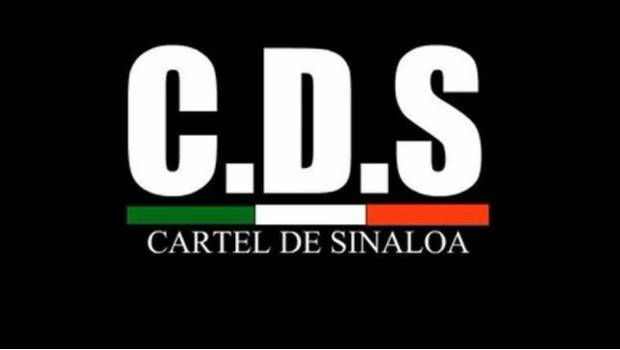 CIERREN SI ES QUE TEMEN POR SUS MALDITAS VIDAS SOMOS GENTE DEL CHAPO GUZMÁN EL 29 COMANDANTE Y SUBTENIENTE SOMOS CARTEL DE SINALOA NADIE NOS PARA Y NADIE LES ENTRA A LOS VER...AZOS CON NOSOTROS.